As most of you are probably full aware, I’m a bit of a self confessed technology geek, and love the odd spot of gaming, particular on Nintendo (In my opinion it has the most universal range of games going than other brands and the most female focused titles), and I’ve been eagerly awaiting the release of the new Animal Crossing game, ‘New Leaf’. I had the last version on DS and was literally obsessed with it, playing it every single day no matter how geeky it made me look. I was super duper lucky to be asked to review the title by Nintendo (which Dan wasn’t too pleased about as it meant I got a copy before release meaning I got to play it before him, ha!) so I’ll be showing you over a few posts what I get up to during the game and hopefully give you all a bit of an insight in case you were thinking of snapping up a copy for yourself! First off, for those of you who have never played Animal Crossing before, let me give you a brief run down on the whole concept. In New Leaf, you enter a new town as the next Mayor, and have to complete duties to make the town and it’s residents (a bunch of ridiculously cute animals) happy and tidy. You can control what the town looks like, where you live, your house decor, your appearance and lots more, and the idea of the game is to continuously raise money to pay off loans, build new things and buy lots of goodies. The concept is pretty simple and I understand now that I’ve written it out that it coud sound a little boring, but hopefully when you see some of the graphics and the trailer below you can begin to see why I love it so much! 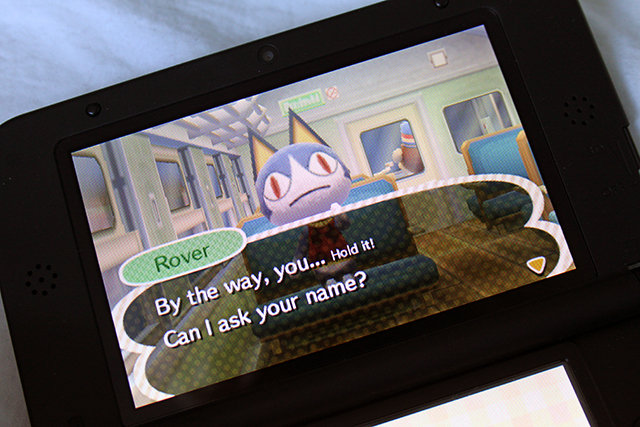 The game begins on a train journey to a new town where I’m greeted by Rover the cat who asks me a series of questions which establishes my character. After parting with some personal details such as my name and gender Rover asks me where I’m heading I’m them prompted to choose my town layout from a selection of maps. I decided for a little town close by the sea and named it Sunville (I thought this was an original name until I watched the trailer just now!). After briefly meeting with my advisor, Isabelle, I am told to go visit series main stay Tom Nook who helps me choose a plot of land for my new house. He informs me my house won’t be ready until I gather enough money (Bells) to cover the down payment. So off I go to raise some cash. To raise 10,000 Bells, I need a fishing rod and a shovel so that i can dig up/catch various items and creatures to sell. To raise the cash for these two items I set off gathering sea shells from my towns two beaches. I can also pick up fruit that I simply shake from the trees. Once my pockets were brimming I head to Re-tail, a thrift store which specialises in buying and selling unwanted goods. I offload my haul and leave with the cold hard cash ready to purchase my shovel and fishing rod from Nookling Junction, the towns general store. I can now fish the streams and sea and dig up fossils, all of which can be sold for Bells or I could donate them to the town’s museum which is manned by Blathers the Owl. It’s not too long until I’ve made enough money to hand over 10,000 Bells to Tom Nook, who informs me my house will be ready in the morning, so I just have to manage one night in the tent! 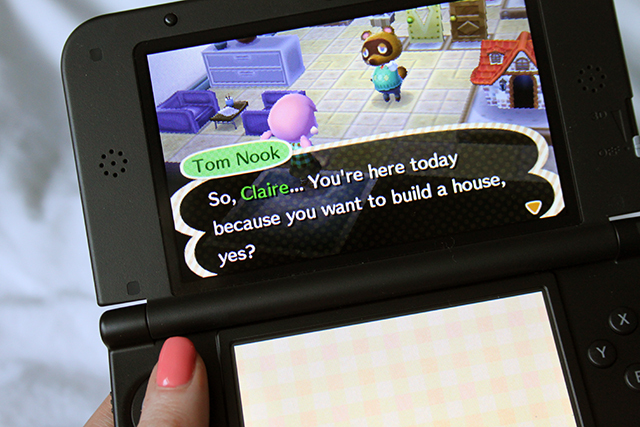 I start the game the next day to find construction on my house is completed and I have the not so pleasant surprise of being told I now owe Tom Nook 39,800 Bells (think of this as a moden day mortgage!). 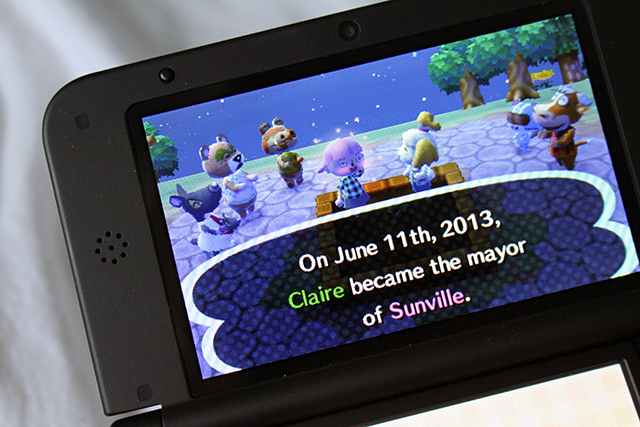 Forgetting about my debt for a moment I went to see Isabelle at the Town Hall to discuss my Mayoral duties. Being the Mayor means my role is to ensure the townspeople are happy, and to begin with I have to work on the Development permit. Basically I have to gain 100% off the residents by helping round the town, and once completed I then have a permit to develop the town further (adding new items, changing shop hours etc). To gain 100% is going to take a few days, so I set off trying to gain approval by chatting to my neighbours, pulling up weeds, recycling rubbish found in the streams and even redesigning to town’s flag. The next couple of days also see the arrival of some new residents (long term Animal Crossing fans will know how new people move in and out of the town on a regular basis!). I also work on paying off my loan in super quick time – a sign that I’ve been on the game a little too much than I should have, and doing my duties to increase my Development Permit approval score. All in all a very productive first few days on the game, and first impressions are very good indeed! Being a huge fan of the previous game, I found it incredibly easy to pick up and get straight in to, although I think first time players may find it a little slow to get used to. All I would say is give it time. It is a very relaxed game, at a steady pace in real time (The time in the game is always the same as in real life. If it’s dark outside right now, it will be dark in the game. A feature which I really like, but can be a little annoying if like me you can only play in the evenings as the shops start to shut from 7pm). I’m really liking the new characters and features, but I’m glad they have stuck to the same concept as before. I’ll be back with an update on how I’m getting on next week. Let me know if you’ve picked up a copy of the game and what your first impressions are! Disclaimer: I have been gifted the Nintendo 3DSXL and a preloaded copy of Animal Crossing New Leaf for review purposes by Nintendo, however I have not been paid to write this post. All thoughts and views are my own and 100% honest. "STYLING SUMMER: 3 HOLIDAY LOOKS"
I am so jealous! 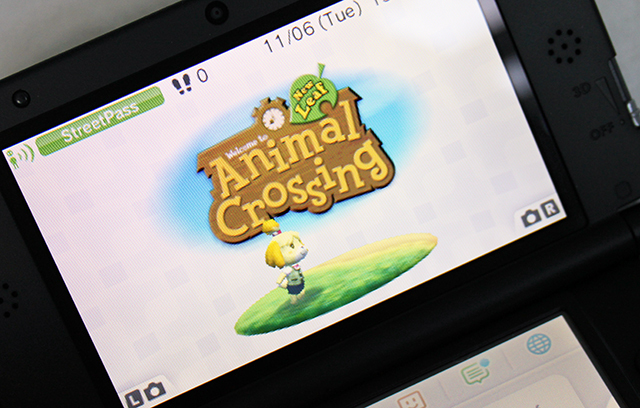 I loved Animal crossing! 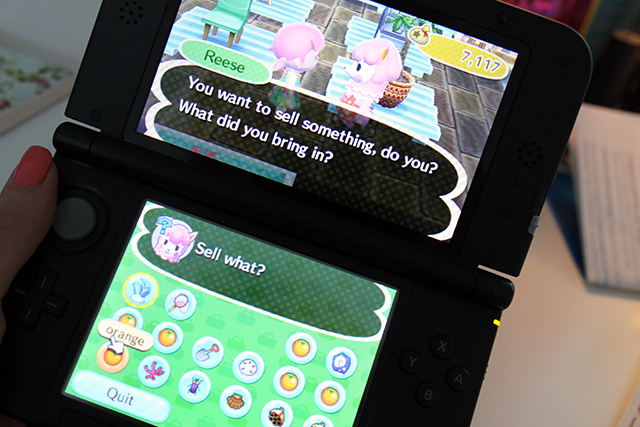 Definitely cant afford to buy either the game or the 3DS right now though! I wish I could play it on my little ancient DS!